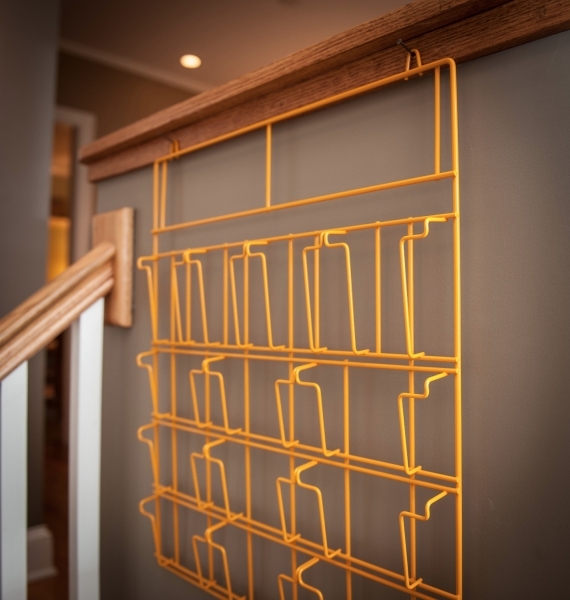 In the world of clutter, there's a need for a designer approach to attractively organizing your space. 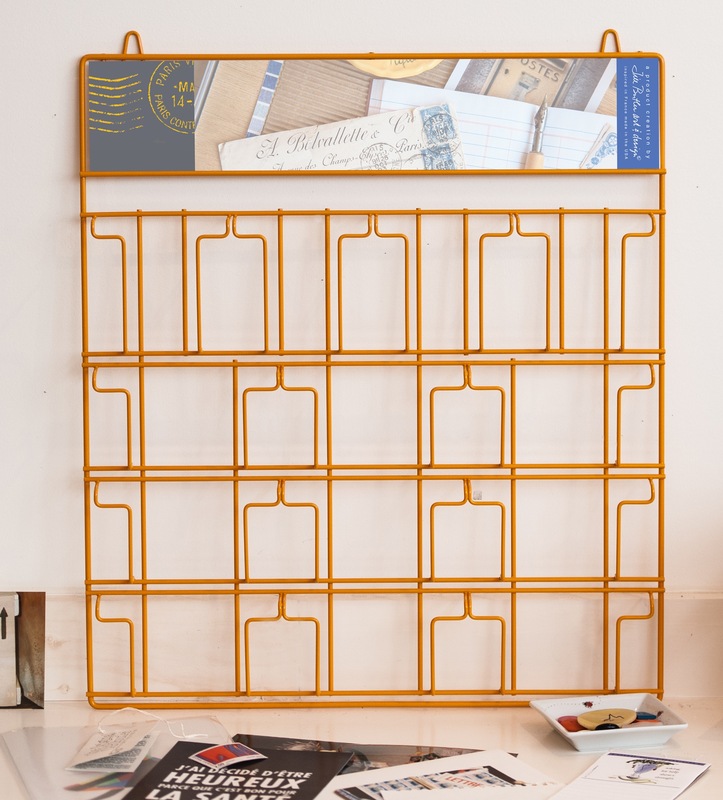 Finally this concept, based on a 1950's vintage postcard rack found in Paris, has been re-imagined for you. Forget the photo album -- Grab a BUTLER! Select and arrange cards, notes, lists, photographs - anything you can think of - as you craft your very own visualportfolio. With 13 pockets, theBUTLER is versatile and easy to use, create with, and even rearrange as your needs change. What will your BUTLER become? A Grab 'n Go Station? Mom's "Control Center"? The possibilities are endless. TheBUTLER is perfect for cards. Reaching out with a note, card, or even a letter, is what is what keeps both personal and business relationships strong. A little effort on your part goes along way in staying connected with those you care about, and theBUTLER makes it easy to do so. TheBUTLER has been a very personal project for Jill over 30 years, and it has been her mantra throughout the development process to manufacture close to her home in Connecticut. After months of searching abroad for the right manufacturer, Jill found the perfect family-owned wire fabricator practically in her backyard. 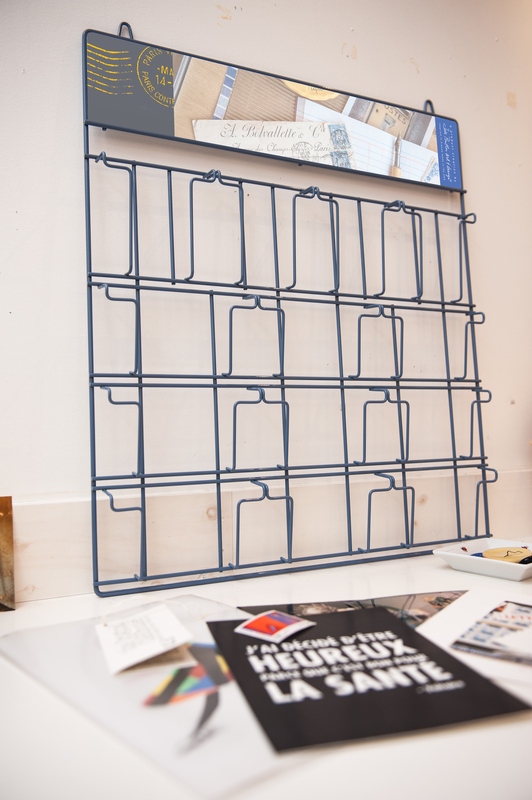 TheBUTLER is not just Made in the USA but Made in Connecticut right up the road from her studio, making it easy to continue the creative and manufacturing process. 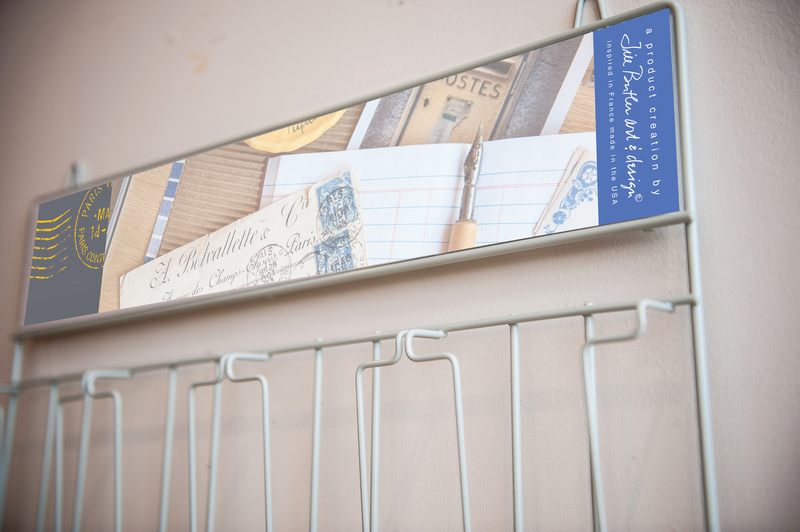 For Art Cards, Frameables, Invitations, and more Jill Butler cards that fit perfectly with theBUTLER, check out the French Presse Collection.